Cheryl Blossom working her magic on a classmate. When you’re in school, you’re supposed to be focusing on your studies—but the heroes (and villains) in this week’s best new comics understand that a well-rounded academic experience includes things that aren’t listed on any syllabus. It’s not just about what you’re learning in class, but rather what you’re experiencing along with your peers. The cast of The Avant-Guards. Transferring to a new school is one of the most nerve-wracking, emotionally-traumatizing experiences a young person can go through, and yet it’s what brings the hero of Boom Studios’ Avant-Guard—from Carly Usdin, Laura Braga, and Matt Herms—face to face with the next great adventure of her life. Cheryl and Jason Blossom plotting something deviant. For all that we know about how twins come to be born, there’s still a certain degree to which they still put people at unease because of ages-old ideas about the mystical nature of twins’ existence. 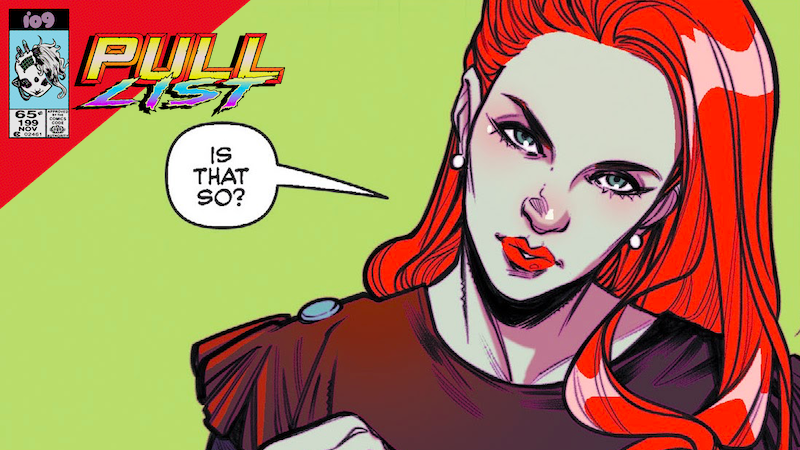 In Blossoms 666, reigning high school queen bee (and king bee, I suppose) Cheryl and Jason Blossom are the same complicated, redheaded siblings they’ve always been—but their presence in Riverdale portends things far darker than any of their classmates would usually care to imagine.